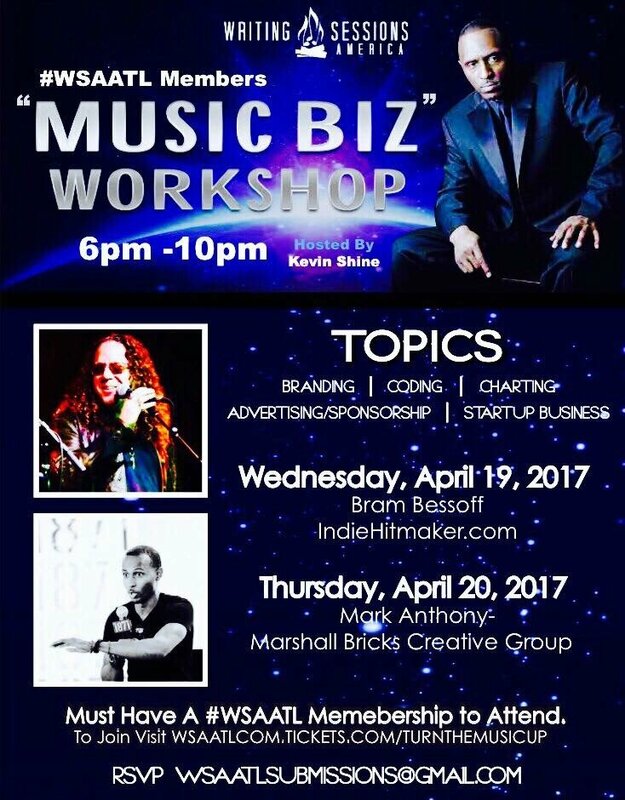 WSAATL (Writing Sessions America Atlanta Chapter) latest “Music Biz” workshop will feature IHM’s founder & president Bram Bessoff this Wednesday April 19th, 2017. Bram will discuss how to successfully release music using IHM’s Dropkick 12-step release plan. Leave with actionable tips you can start using immediately to find your fans, build audiences and create momentum by selling more merch and music while making it count on the charts. WSAATL provides an environment of music business development and education that fosters professional growth. The session will also feature IHM’s merch gallery, a collection of items sold by touring artists across the country. Attendees can browse the gallery to get ideas for their own merch line. Learn what types of t-shirts, designs and other merch items sell best. Get manufacturer contact info, be inspired by the designs of other artists or simply touch and feel the merchandise. Attendees are encouraged to bring and present their best merch pieces. Bram will provide actionable feedback as he shares secrets to selling merch at 600% profit while making your music sales count on the charts. The astonishing 11 year old is climbing the Billboard charts. 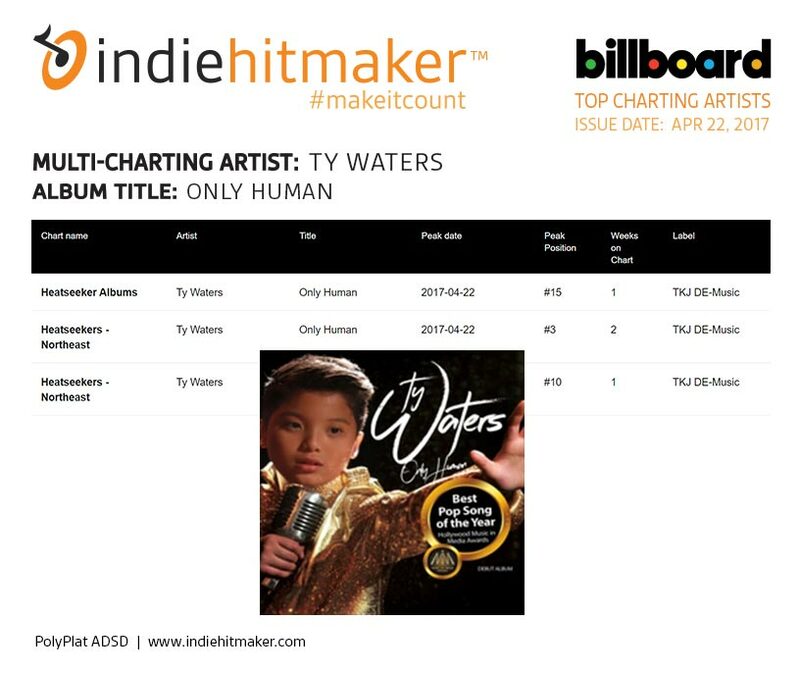 Ty Water‘s debut album, Only Human, hit various Heatseekers charts for the second week. Considered for 5 different Grammy nominations, the album’s single, Only Human, won Best Pop Song of the Year at the Hollywood Music in Media Awards for 2016. Selling digital music direct-to-fan from his official website, Ty found charting success using IHM’s dropkick smart plan. Missing a strategy to sell more merch and music directly to your fans? Each IHM Dropkick plan comes with a free kick-off session to get you started on a path to making more money doing what you love. Get started for just $10 and #makeitcount.